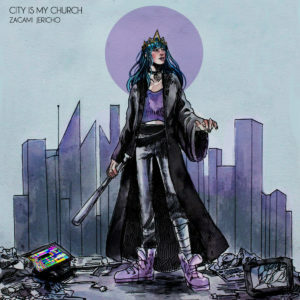 Zagami Jericho emerged from the depths of internet in 2016 to manifest her cyber mind on her seven-piece EP City Is My Church. Her retro-futuristic universe might be highly personal on one hand, on the other creepingly familiar to everyone who came of age with their eyes fixed on a screen – and at the same time disturbingly beautiful. 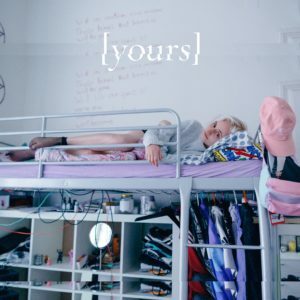 Recorded at the home studio of a Prague teenager, the EP caused a stir on the Czech music scene. She’s been hailed as the hope of the scene and dubbed “Czech Grimes”. But she didn’t bow under the pressure and went on to release even more brilliant full length album Toxikomania. “My kingdom would fall if you would rule it for me,” she sings declares decidedly on I said no (to myself). Zagami belongs to the generation that to whom creating a stray of virtual identities is a means to form identity of one’s own. In the commentary to City Is My Church, she says she speaks with other entities in the search of who she really is. The premise of the album is that beautiful things are violent on the inside. The 21st century Western culture is very much obsessed with the looks of everything – from our bodies to our meals – and desperate to shun everything that doesn’t look appealing. But the harder we try to unsee them the uglier things get. The first album came with the label “cyberpunk”. The term originates in literary theory, referring to science fiction works which focus on “high tech and low life” and narrate a story of radical change in social order. Music labelled as cyberpunk explores darker sides of technological progress and adopts particular aesthetics – aspects that inform Zagami’s debut and make it sound like a soundtrack some 80s cult sci-fi about the current times. City Is My Church deals with everyday frustrations, permanent alienation and the resulting aggressions that inevitable constitute the experience of living in a city. The name-giving ballad is an ode to pulsating, crowded places where ever so often one does feel lonely. It doesn’t matter much whether it is Prague, London, real life Los Angeles or its fictitious counterpart that starred in the original Blade Runner. “The city is my church and I pray to neons,” Zagami repeats as if it was a mantra that helps her stay strong through dark times. “This subtle aggression won’t ever decay,” Zagami sings on the violent love ballad AK. The cheerful beat on I’m Sad makes it sound like an attempt to dance away the pain of having been left by a loved one. There’s many tears spilled and much violence committed on the album, but determination to keep fighting beams through. Zagami won the export competition Czeching in 2017 – the aim of which is to help artists jumpstart their career outside of the little pond that is Czech Republic. With the financial support of Radio Wave, Zagami recorded her second album Toxikomania in a professional studio, though she says she didn’t make full use of it – the type of music she makes requires a cosier environment. Zagami is deliberately more aggressive on the second recording. It’s something she plotted in advance, to lure people with synthy ballads and smash their expectations, she admits in the interview with Fullmoon magazine. Despite the fair amount of violence and distortion, the structure of the songs on City Is My Church is comparatively standard. On the follow-up, by contrast, Zagami refuses to deliver anything like a pop song. The distortion that was audible on City Is My Church spreads onto the song structure on Toxikomania. Despite the title, there’s no mention of any chemical substances. Heightened or altered state of mind can be induced by all sorts of ordinary things. What is mentioned several times throughout the album is death. In death, there is no aggression or violence, death seems to be a harbinger of peace and change. “How stupid you gotta be thinking this is your only life,” Zagami cries on Await Death. A powerful outpour of energy, the song is in fact celebrating life: “Now I’m here, now I’m here to do the things that I like – so are you – and when I die, when I die, it’s a gate we all are going through” – and then the beat drops. You close your eyes and dance away your pains.